Calvi passenger and car ferry ticket prices, timetables, ticket reservations and information for ferries sailing from Calvi to Nice and Savona. Compare all available Calvi ferry ticket prices in real time and book the cheapest available Calvi car and passenger ferry tickets sailing to and from Calvi, Nice and Savona with Corsica Sardina Ferry Lines ferries online with instant confirmation. Book Calvi Ferry Tickets with Corsica Sardina Ferry Lines for ferries sailing from Calvi to Nice and Savona online in advance to enjoy the cheapest available ferry ticket price. The price you see is the price you pay. There are no hidden extras or surprises such as added fuel surcharges or booking fees and we do not charge you anything extra for paying with a Visa Electron card. The price we quote you for your selected Calvi passenger or car ferry ticket, onboard accommodation and vehicle type is all you will pay, and that's a promise. To obtain a Calvi ferry ticket price and book your ferry ticket securely online please use the real time ferry booking form on the left. You are also able to add a hotel at your destination, or anywhere else, to your ferry ticket when completing your ferry ticket reservation. Calvi is a city on the French island of Corsica and the biggest tourist centre of the island proper. Because of the Corsica's strategic location, Calvi has a rich and chequered history. The earliest found remains of settlers in Calvi date back to the Neolithic period, in one of its many caves. It is also reputedly the birthplace of Christopher Columbus, born during the Genoese occupation of the town, the remains of his house can still be seen today, commemorated by a plaque in the Citadel and statues scattered throughout the town. More like a glamorous mainland Mediterranean resort than perhaps anywhere else in Corsica, Calvi curves around a crescent-shaped bay, basking beneath the snowy peaks of Monte Cinto (2706m). Watching over the town, the citadel remains as a relic of the town’s past as a strategic military outpost, with a huddle of 13th-century hilltop houses cosseted by 15th-century bastions. Calvi is a city on the French island of Corsica and the biggest tourist centre of the island proper. During the height of the summer season, Calvi sports a lively atmosphere at night time, with an array of quayside cafés, restaurants and several clubs. The well-known bar “Chez Tao” is not to be missed; set in the Citadel, it’s often open until dawn, music drifting out over the bay until sunrise. In recent years Calvi has reinvented itself as Corsica’s capital of culture. The town plays host to many music festivals during the summer including the “Jazz Festival” in June and “Calvi on the Rocks” in July. An impressive art exhibition also takes place in the Citadel from June to September. Whether you are meandering along the old cobbled streets of the Citadel or having a drink in a café on the Quai Landry, Calvi will leave you refreshed and inspired to see more of this beautiful island. The Citadel is worth at least one visit. It is very hard work, especially during the 12-3pm period, with many steps and seemingly unendless cobbles, but there are some restaurants and shops to ease you and an art gallery halfway up. It is hard to recommend the citadel for its contents (though the 2nd Bn. Parachutistes of the Foreign Legion put on a show every year, discussed below, which is worth going to), but the views are simply amazing, especially at sunset. Come during the 15 Août, and you will be treated with the best fireworks show you have ever seen. Go to the main beach and you will see the show proper; each year has its own theme. We went in 2006 and saw the 'Apocalypse' themed show, which included fireworks evoking fire, brimstone (we were hit on the head numerous times by falling caps--not a great idea to sit on the street directly beneath it) and volcanic eruptions accompanied by loud, germanic classical music and an accompanying video projected onto its largest wall. In the daytime, the Parachutistes put on a show and do a jump from 15,000ft, landing in the sea. Best viewed from the bar U Cornu Marinu, if only under the pretense of avoiding flying boots. L'Eglise Santa Maria is worth a visit; you can't miss it, it's the 'Big Pink Church'. It is a lovely old-style Catholic church evocative of the Orthodox style.•Take the train to Île Rousse or Bastia. Take the 4hr round trip to Scandola by boat, which can be booked on the Marina (you can't miss it). Scandola is an island, now a nature reserve, that boasts, among other things, coral, birds '450 seaweeds', etc. Best to book the afternoon trip to avoid being hit by Calvi's infamous winds, which tend to make the trip less than pleasant. Go diving around Calvi's corals (can be booked on the Marina, look for the boat with all the diving suits hanging off it, toward the eastern side). Hire Kayaks or Dinghys or Jet Skis on the beach. Almost every shop in Corsica will sell dried meats (you'll smell them before you see them) and also offer an amazing variety of honey, olive oil, spices and herbs (from the bushes that litter the mountains, called maquis). For those of you who are a little more adventurous, it may be worth buying some chestnut flour (farine de châtaignes), which is a local speciality used in crêpes, cakes, etc. If you want to be a little more touristy, on the Rue Artisanat you will find everything from hats (I'm not kidding; check out the Chapellerie, nearer the citadel, for every kind of hat you have ever imagined) to Watches (there is a shop selling everything from Breitling to Swatch opposite the Eglise Santa Maria, or the Big Pink Church) and T-Shirts (Bianc' & Neru sell some fantastic shirts, all of the best quality, great classy gifts for family etc) and of course knives, of which there is a rather disturbing prevalence here (Opinel knives are sold in the tabac opposite the Grand Hotel on Boulevard Wilson, fantastic quality and super cheap--great for campers). Best Price Guarantee - We always offer you our lowest available Corsica Sardina Ferry Lines passenger and car ferries ticket price to and from Calvi. There are no hidden extras or surprises such as added fuel surcharges or booking fees and we also we do not charge you anything extra for paying with a Visa Electron card. The price we quote for your selected Calvi ferry ticket, onboard accommodation and vehicle type is all you will pay, and that's a promise! In the unlikely event you find the same all inclusive Calvi ferry ticket cheaper in the brochure of any other tour operator we promise that we will do our best to beat that price or offer you the choice of requesting a refund. 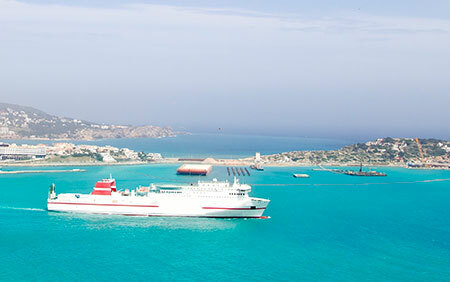 To book Calvi car and passenger ferry tickets please click here. At ferryto.co.uk you are able to obtain live Calvi ferry ticket prices, check availability and book car and passenger ferry tickets to and from Calvi at our lowest available ticket price. Ferryto.co.uk is part of the world's largest online ferry ticket distribution network providing the ability to book over 80 major European ferry operators including to Calvi and to over 1,200 other ferry routes throughout the UK, France, Spain, Ireland, Holland, Eastern Europe, the Mediterranean, the Baltic and North Africa.